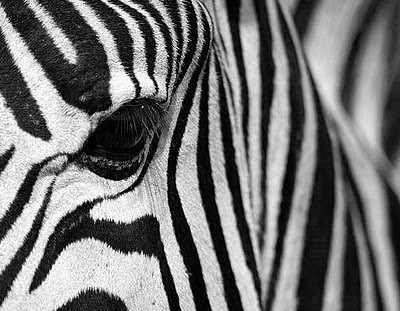 Black and white has a certain panache to it. 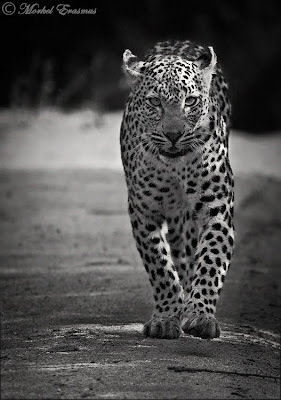 A good black and white photo just leaps out at you, whilst an average one just does nothing for you. 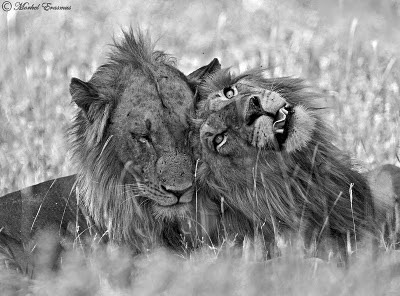 I always try and have a look at which photos will be done justice by the black and white medium. I guess the key here is to actually visualise a shot in B&W while you are taking it, in other words as you see the scene through the viewfinder, try and visualise if it will work as a monochrome image. 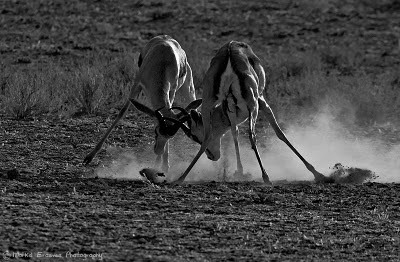 The monochrome image can also be used to emphasise action and movement. 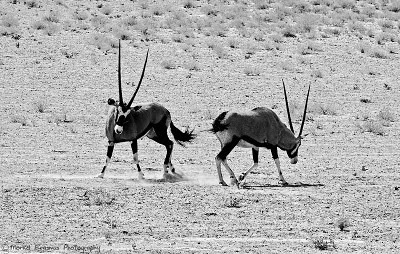 These images from our trip to the Kgalagadi Transfrontier Park last year show just that - and the subjects this time are mere Springboks and Oryx, not half as 'tourist-spectacular' as predators, but look at how these shots panned out! 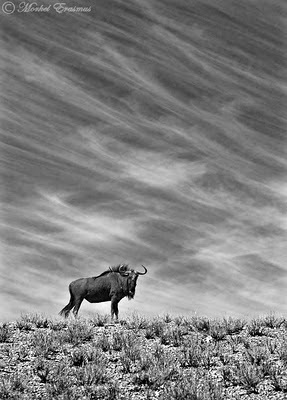 Okay - before I give you a sensory overload in "Black and White", I'll end off with two shots taken of the same scene which are incidentally two of my favourite photos in my entire (vast) portfolio...The scene was simple: a lone blue wildebeest on a dune in the Kalahari, with wispy clouds behind it, painting a perfect picture of the harsh environment and the skill these animals have developed at surviving against all the odds. 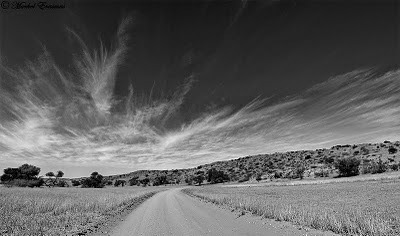 For today's post I decided to do something different - something which is not exactly what you would call HDR. 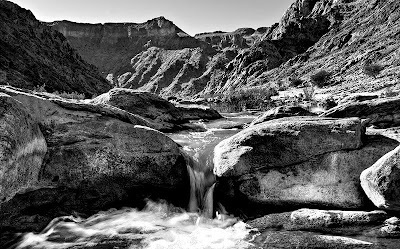 But, after all, I am a photographer and I don't only do HDR, it's just one of the fun techniques I play around with. I am posting a few very different silhouette photos today. Silhouettes can either rock the house or they bomb out and fizzle into nothing - depending on what you choose to portray and how that image leans itself to lines, texture and simplicity. 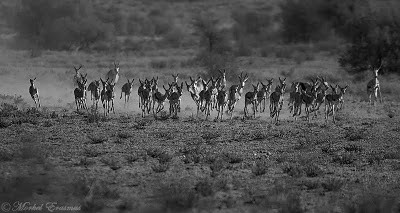 The first shot is one that was taken late one afternoon on a dune in the Kgalagadi Transfrontier Park. 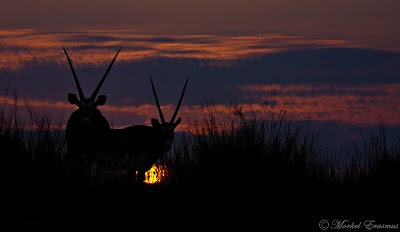 A herd of oryx was grazing peacefully, minding their own business, as the sun was setting behind them in the little piece of blissful serenity which is called the Kalahari desert. I personally love these 2 photos. Finding the right scene for your silhouette is half the battle. Composing in camera is another 30%. Processing right afterwards makes up the rest. 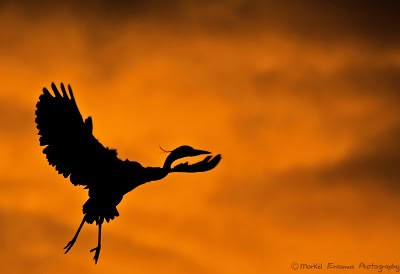 Sticking with birds...I also want to show you a silhouette I captured sometime last year of a black-headed heron flying in to roost for the night at the same local duck pond. 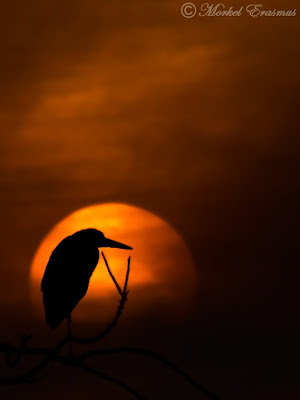 I like how the dramatic clouds and sunset colours add poignancy to the bird's pose. 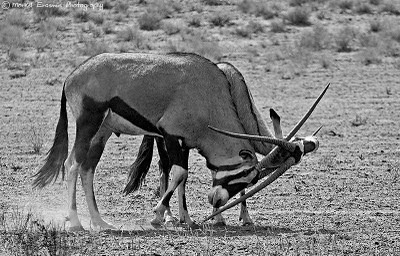 The fourth photo I want to share was taken early one morning at the entrance gate to the rest camp in the Augrabies Falls National Park. The falls are currently flooding after some intense rains and I wish I could be there now! 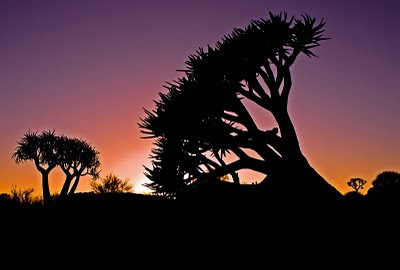 The quiver tree is quite a landmark in the Northern Cape and Namibia. Rugged. Hardy. Lonely. These words all describe this beautiful tree, yet none of them really describes it to one who has never seen them. Notice how the texture and shape of the quiver trees make for a lot of eye-candy. Getting a bit more creative, I also used a little Photoshop magic on the photo posted above - I copied the silhouette of the flying heron into the quiver tree photo and created a piece of 'visual art'. I don't mind when people play around creatively with their photos in Photoshop - one should just always make mention of the fact that the photo has been 'shopped' (that is to say - one has gone beyond the boundaries of enhancing what is already naturally in the photo by adding elements and transforming the photo into something else). 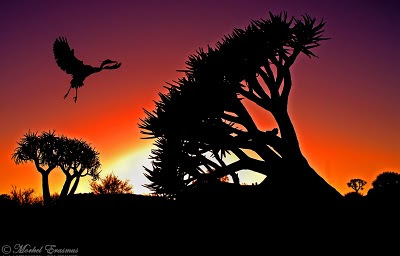 I also boosted the colours of the quiver tree shot a lot to add to the visual impact of the silhouettes. There you have it! 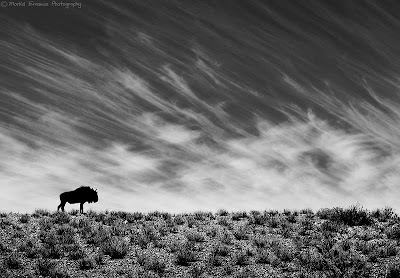 Hopefully I've inspired you to go and look out for some stunning silhouettes in your area, or on your next holiday. For my first post in February 2010 (my does this year rocket past - even faster than last year!!) 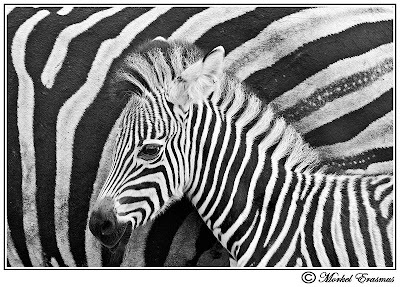 I thought I'd share another image from our trip in December 2009 to the Western Cape province of South Africa. This area plays host to some of the best scenery, best wine estates and best restaurants in the country. This 3-exposure HDR was shot from the wine-tasting lawn on the Seidelberg Wine Estate near the town of Paarl. 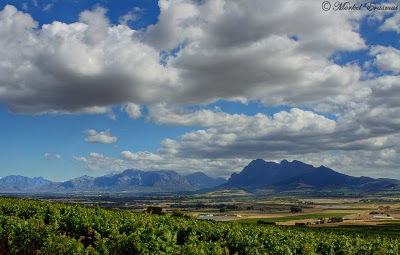 The view looks over the Simonsberg mountain and the Franschhoek valley to the far left. I hope that, if this serene scene finds you behind your desk wishing you were somewhere on the road to a beautiful place, that you will feel as if you could be on this lawn, tasting the fine wine, looking out over this lovely valley. If you stumble across this post - please drop a comment telling me where you are now, and what you are doing! This way we can all share a moment in time. Keep healthy and productive and keep clicking those cameras wherever you go!